Registered nurses comprise the nation’s largest healthcare occupation, with a growing population of more than 2.7 million nationwide and over 250,000 employed in the state of California alone. California-based RNs earn a median salary of $94,310 per year. Expected employment growth for RNs overall is 19% for the 2012-2022 decade. Certified nursing assistants are the second-largest healthcare occupation, with more than 1.5 million employed nationwide and a population of 97,420 in the state of California. The median salary for California certified nursing assistants is $28,210 annually. Expected employment growth for CNAs is 21% for the 2012-2022 decade. Licensed vocational nurses belong to a group of more than 730,000 professionals across the country. 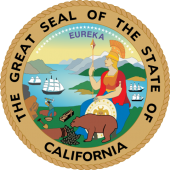 The state of California employs 61,050 LVNs at a median salary of $51,620 per year. Expected employment growth for LVNs is 25% for the 2012-2022 decade. We've compiled below a comprehensive list of California schools offering accredited nursing programs, organized by metropolitan area.